Hello, this week stinky sediments, skunks and the smell of hell. 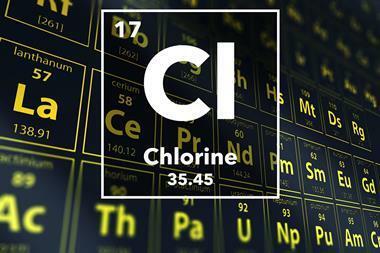 Well they all begin with the letter S, and so does this week's element. Here's Steve Mylon. 'How did it smell?' That was the only question I needed to ask a geologist colleague of mine about the sediment she was trying to understand. The smell of the sediment tells a great deal about the underlying chemistry. Thick black anoxic sediments can be accompanied by a putrid smell which is unique to reduced sulfur. For example, in Genesis we hear, 'the lord rained down burning sulfur on Sodom and Gomorrah' and in Revelation we read that the sinners will find their place in a fiery lake of burning sulfur. The odd thing is that in both cases we shouldn't expect anything smelly to be produced. 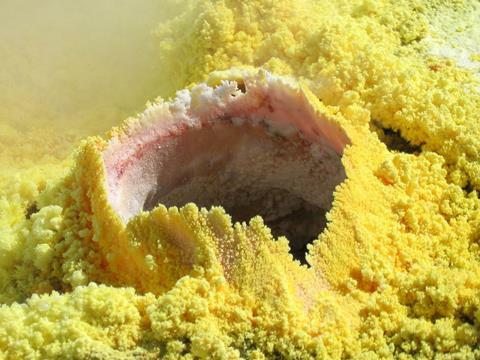 When sulfur burns in air, it generally forms sulfur dioxide or sulfur trioxide both of which lack any smell. 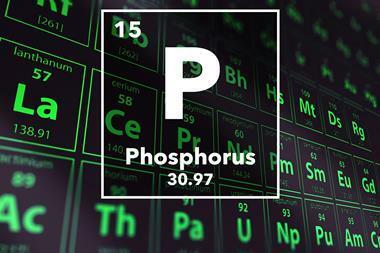 These compounds can further oxidize and rain out as sulfuric or sulfurous acid. This is the mechanism for acid rain which has reeked havoc on the forests of the northeastern United States as sulfur rich coals are burned to generate electricity in midwestern states and carried east by prevailing winds where sulfuric acid is rained out causing all sorts of ecological problems. 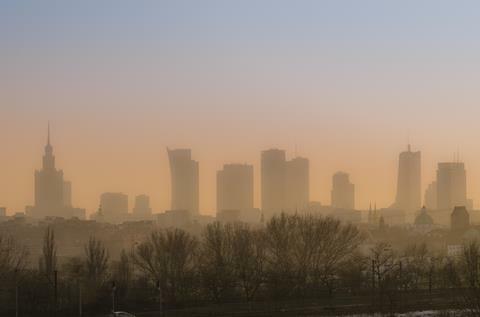 Additionally, the combination of burning coal and fog creates smog in many industrial cities causing respiratory problems among the locals. Here too, sulfur dioxide and sulfuric acid are implicated as the culprits. But again, there is no smell associated with this form of sulfur. So if hell or the devil is said have the 'smell of sulfur', maybe that's not so bad. But reduce sulfur by giving it a couple of electrons, and its smell is unmistakable. The requirement of sulfur reduction to sulfide has clearly been lost in translation . Hell that smells like hydrogen sulfide or any number of organic-sulfur compound will not be a nice place at all. The organic sulfide compounds known as thiols or mercaptans smell so bad, that they are commonly added to odorless natural gas in very small quantities in order to serve as a 'smell alarm' should there be leak in a natural gas line. Skunks take advantage of the foul smell of butyl seleno-mercaptan as a means of defending themselves against their enemies. And for me, personally, the worst chemistry of all occurs when reduced sulfur imparts a bad (skunky) taste in bottles of wine or beer – bound to ruin a nice night out on the town or an afternoon at the local pub. So, where does the 'smell of hell' come from in anoxic sediments. Interestingly, some bacteria have evolved to make use of oxidized sulfur, sulfate, as an electron acceptor during respiration. In a similar manner to the way humans reduce elemental oxygen to water, these bacteria reduce sulfate to hydrogen sulfide. They clearly don't mind the smell. 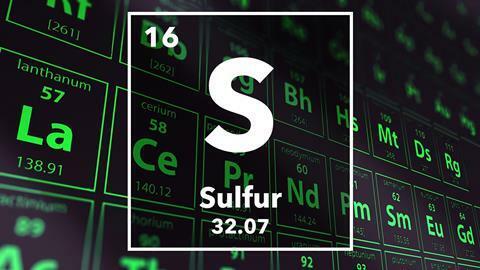 Smell is not the only interesting chemistry that accompanies reduced sulfur. The deep black associated with anoxic sediments results from the low solubility of most metal sulfides. Sulfate reduction to sulfide generally accompanies the precipitation of pyrite (iron sulfide), cinnabar (mercury sulfide), galena (lead sulfide) and many more minerals. These metal sulfides have become an important industrial source for many of these important metals. 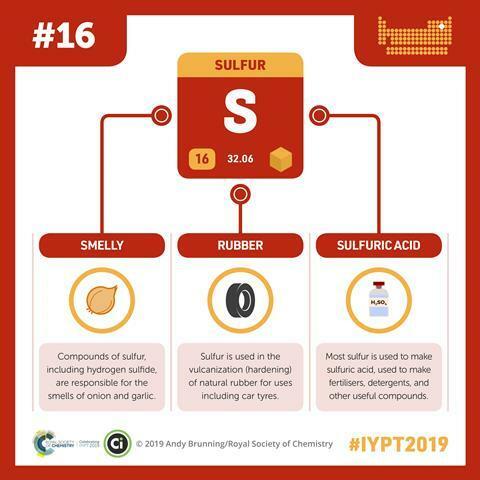 Industry is one place you are almost certain to find sulfur or more importantly sulfuric acid which is used in processes ranging from fertilizer production to oil refining. 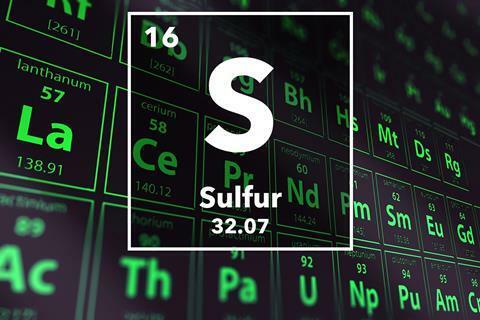 In fact sulfuric acid ranks as the most highly produced chemical in the industrialized world. Imagine that, the element with such a hellish reputation has become one of the most important. And some even suggest that sulfur could save the planet. The biogenic compound dimethylsulfide (DMS) is produced from the cleavage of dimethylsufonoprioponate, an osmotic regulatory compound produced by plankton in the ocean. The volatility and low solubility of DMS results in some 20 Tg (1012) of sulfur emitted to the atmosphere annually. DMS is oxidized to SO2 and finally to sulfuric acid particles which can act as cloud condensation nuclei forming clouds which have a net cooling effect to the planet. Imagine warmer temperatures followed by greater biological activity resulting in more DMS to the atmosphere. The resulting cloud formation might work to cool a warming planet. It's almost like the plankton are opening an umbrella made up, in part, of sulfur. From a symbol of damnation to savior – what a turnaround!!. Steve Mylon sniffing out the stinky story of sulfur. Thankfully next week's element is a lot less odiforous. The story of its discovery started when Rayleigh found that the nitrogen extracted from the air had a higher density than that made by decomposing ammonia. The difference was small but real. Ramsay wrote to Rayleigh suggesting that he should look for a heavier gas in the nitrogen got from air, while Rayleigh should look for a lighter gas in that from ammonia. Ramsay removed all the nitrogen from his sample by repeatedly passing it over heated magnesium. He was left with one percent which would not react and found it was denser than nitrogen. Its atomic spectrum showed new red and green lines, confirming it a new element. And that new element was argon nicknamed the lazy element because originally scientists thought that it wouldn't react with anything. Now we know that's not true and John Emsley will be here to unlock argon secrets on next week's Chemistry in its element, I hope you can join us. I'm Chris Smith, thank you for listening and goodbye.